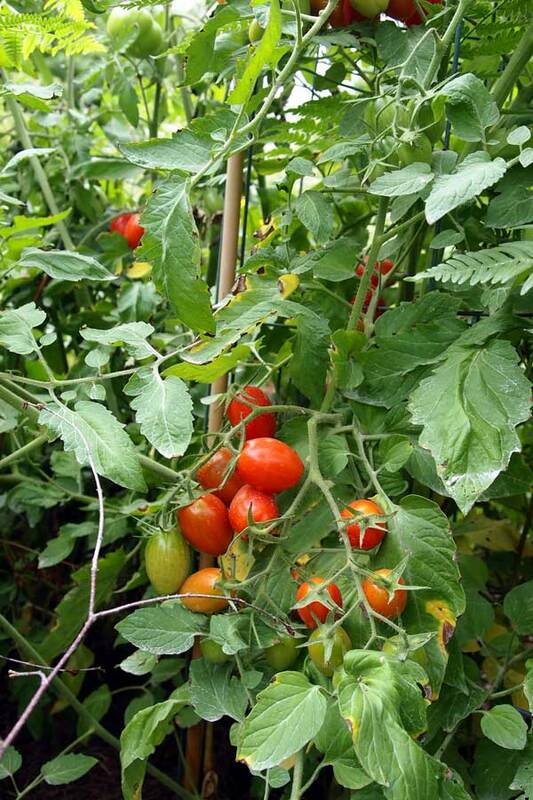 The Principe Borghese tomatoes are coming along, with a few Juliets and the big, buttery Paul Robesons. I picked a cookie sheet full to finish ripening in the house. After a few weeks of drought the weekend rains will swell the fruit and cause the skins to crack. This coming weekend I should have enough to can a batch of sauce. 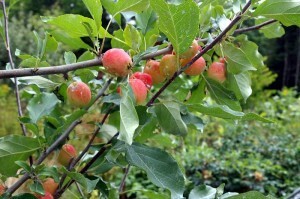 The Dolgo crab apple has fruit so brightly colored it looks unnatural, especially following its pure white blossoms in spring. The tree is an excellent pollinator for the other apples, and the fruit makes wonderful sauce. 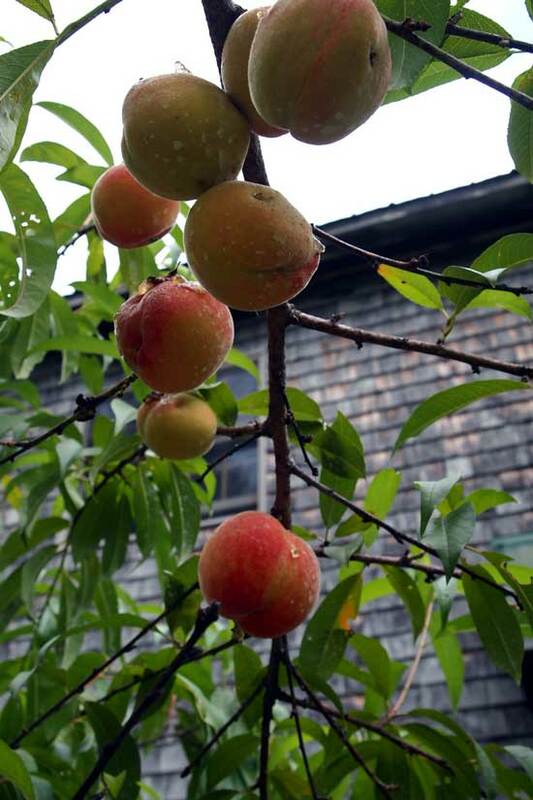 The peaches won’t be perfectly ripe until early September, but they look good and are beginning to cast a wonderful aroma on a hot, still afternoon. 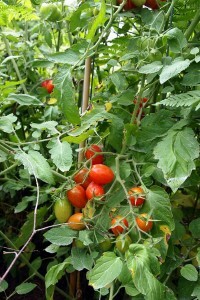 I’ve been looking into drought gardening – dust mulch and other techniques – and the caveats for smaller fruit with lesser yields per tree balanced by extraordinary flavor sounds very familiar. It’s very much how we’re gardening at present with some extra hints for preserving as much moisture in the soil as possible. Can’t wait to learn more about it, but that’s what winter is for. 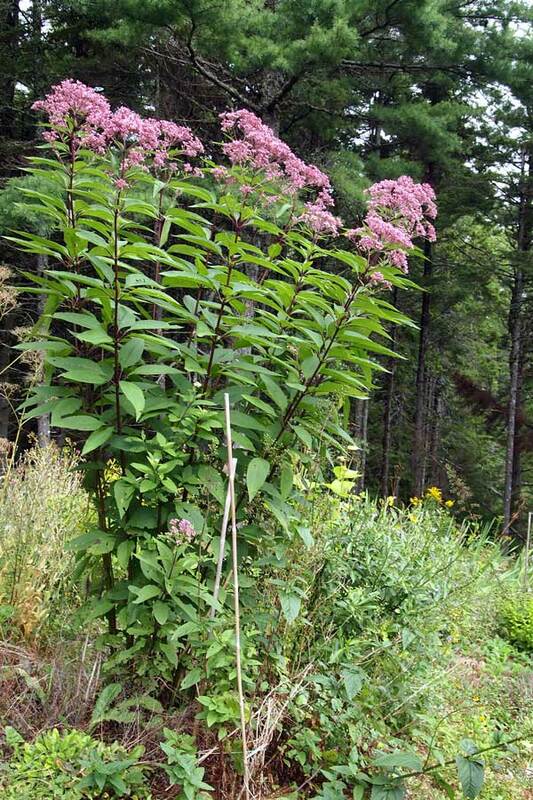 Eupatorium purpureum, Joe Pye Weed or Queen-of-the-Meadow, is 10′ tall this year. I’m not sure if the new height is a function of the age of the planting (3 years), or if it just really likes extreme heat and drought. Our bees love it, no matter how tall it gets. 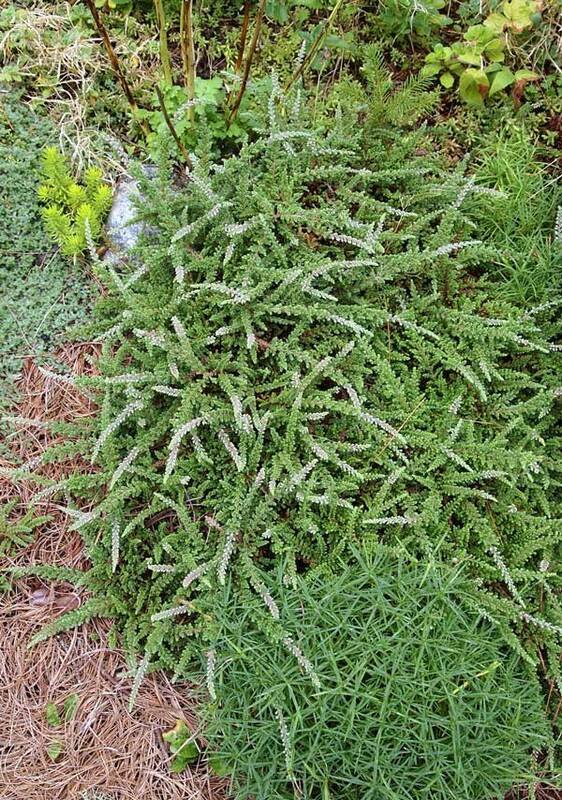 At the opposite end of the height spectrum just a few feet away, heather “Wave” is only an inch tall, but has spread out to about 30″ square. 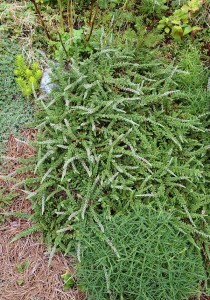 It also attracts pollinators. 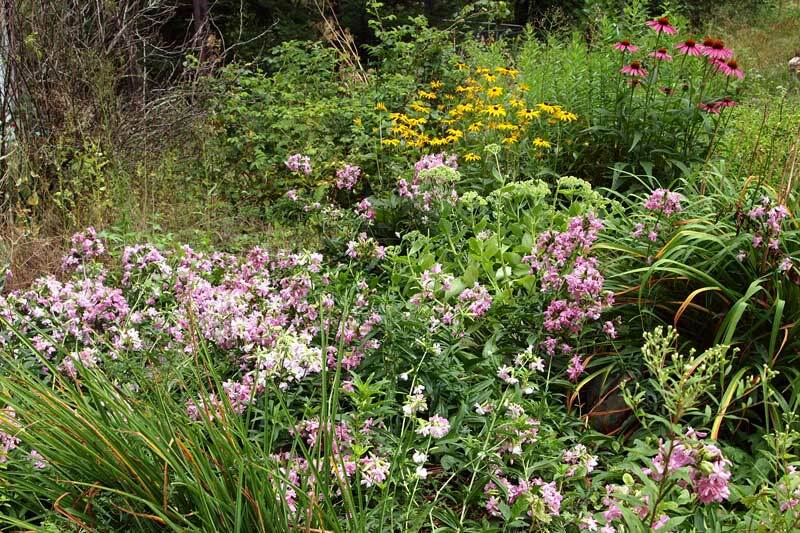 This sprawling mass of pink blossoms is one plant of Bouncing Bet, or Soapwort. 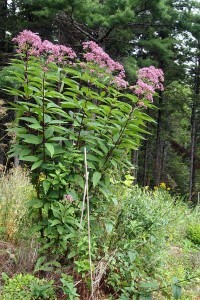 The bees aren’t so fond of the blossoms, but the plant is doing very well for not being watered since June and the deer don’t bother it – both real plusses for the gardener. This entry was posted in gardening, horticulture, Maine, orchard, perrenial and tagged drought, garden, orchard fruit, summer on August 13, 2012 by APo.